Last year, I lost power on October 30th and didn’t get it back til Nov. 2nd. My boyfriend’s mother didn’t get it back until over a week later. We were cold, frustrated and poor (students don’t generally get paid sick days from their various jobs). This year, I’m at my grandpa’s and he has a fireplace but no gas stove. I have chicken (cooked) in the fridge and bread for maybe some sandwiches. I cooked up all the shrimp we had and made shrimp cocktail. I have some ramen soup (and a camp stove!). So I feel more prepared. I have a flashlight close to my bed. I have lots of knitting and I’ve charged all my devices. Lights keep flickering. I don’t “need” power so I try not to be upset when it goes out but it’s very frustrating. This is my recently finished Pogona. 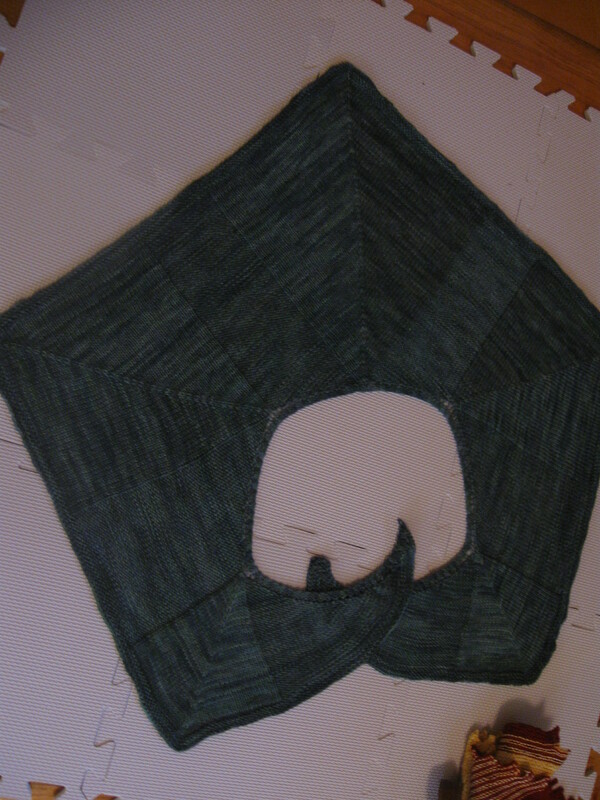 I loved knitting it, I may knit another. I have several projects in my head for this inevitable knitting time I have. I just started some pink socks. Anyways, everyone stay safe, buckle up (figureatively please don’t get in a car right now!!!) and get ready for the storm!